Study after study has shown that it costs more for a business to attract new customers than to retain existing ones. Low estimates suggest it’s four times more costly to get a new customer than keep an old one, while higher estimates put the cost at 30 times or higher. 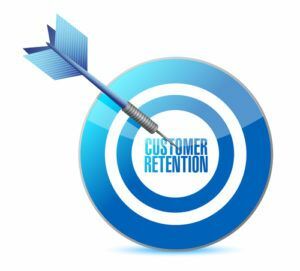 A well-planned and executed program of repeat customer marketing eliminates some of these expenses by getting more business from your current customers. Use both email and direct mail – Email marketing is fast, efficient and effective. You can easily use marketing automation tools to manage an email marketing campaign that will create interest in your existing customers. On occasion, perhaps for your best customers or those most likely to buy, send a direct mail piece as a change of pace. Receiving physical mail from you may be a pleasant surprise to a customer used to email marketing. Understand your database – Maintain separate mailing lists of new customers/prospects and existing customers. When you market to current customers, you’ll know you’re dealing with people who have purchased from you in the past and are familiar with your products and services. You’ll be able to spend less time making your case for an initial sale and more time explaining benefits and building stronger customer relationships. Know your customers – Find out as much as you can about your current customers, including interests, demographics, behaviors and other characteristics. Know why they buy, and in particular, why they’ve bought from you. Use this information to craft appealing offers that directly address customers’ needs. Monitor customer behavior – Use email tracking tools to find out what kinds of offers are most appealing to your customers, what types of emails are being opened, and what kind of content is most likely to get a response. Provide discounts or other incentives and see which ones your customers respond to most. Once you know what triggers action from your customers, use it more often in your marketing campaigns. How could you improve your marketing plan to capture more business from your existing customers?